A useful guide on the Best Essential Oils for Beginners and how to put them to good use everyday to improve your quality of life. You’ve decided that you would like to get healthier, get rid of the toxic chemicals in your home or maybe you’re just curious about using natural remedies for common ailments like the cold and flu. If you can relate to any of these scenarios then essential oils might be just what you need. What are Essential Oils Exactly? Essential oils are concentrated liquid oils, derived from plants. They contains a plant’s chemical properties and are used for aromatic and wellness purposes. 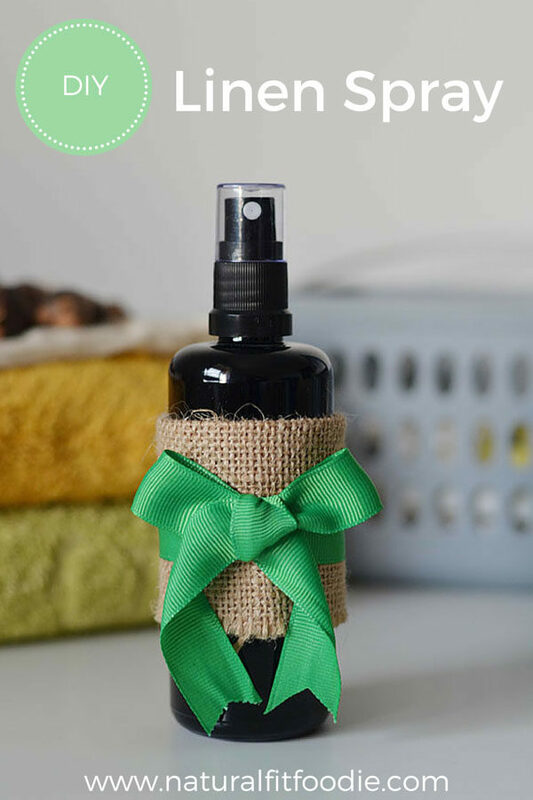 Essential oils are extremely versatile, they can be used to treat physical ailments, grow thick and lustrous hair, ease the symptoms of stress, anxiety and depression, for making your own cleaning products and much more. When you first learn about essential oils and their myriad of uses it’s tempting to want to go out and buy them all. But there is no need to break the bank when getting started. In fact buying too many at first can quickly lead to confusion once you realize just how many different kinds of oils are available. To add fuel to the fire, there are also many different brands (and they are not all equal in quality), various ways to use them, etc. Don’t worry every novice essential oil user has experienced this type of confusion and overwhelm but with a little Essential Oil 101 you’ll get started off on the right path. 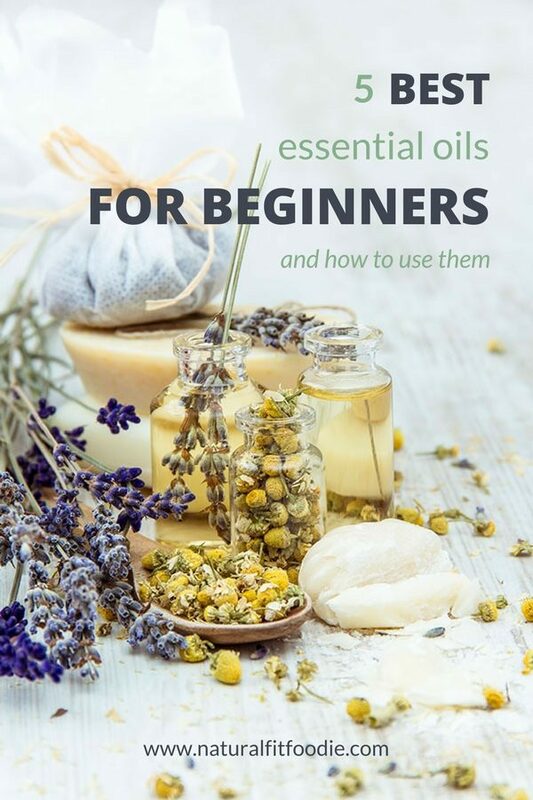 So without further ado, let’s dive right in to the five best essential oils for beginners, how they work and their uses. 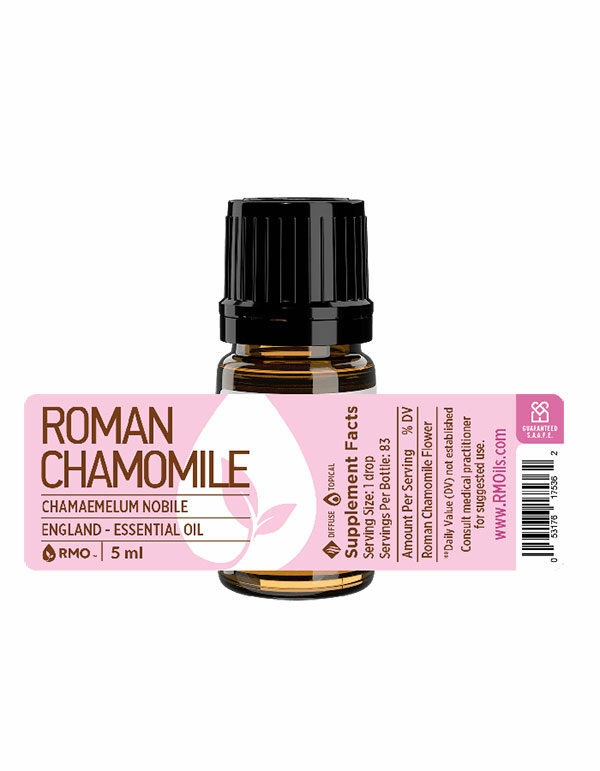 Considered to be one of the safest and best essential oils for beginners, Chamomile Essential Oil is most known for its calming and anti-inflammatory benefits. I like to call chamomile essential oil baby sleep in a bottle. Add a few drops of chamomile essential oil to your homemade body butter and massage your baby after their bath to set the tone for a calm and peaceful night. Allergy sufferers will also find great relief during allergy season when using it in a diffuser. PRO TIP TO HELP ALLEVIATE COLIC IN BABIES : Dilute a couple drops of chamomile essential oil with a tablespoon of carrier oil, and rub on baby’s tummy in a clock wise direction. 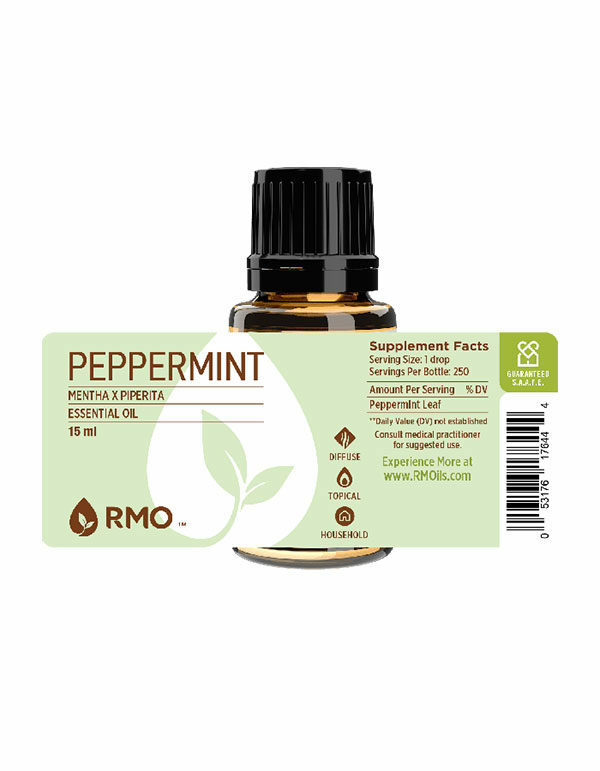 Peppermint Essential Oil is known to be antibacterial, antiviral, anti-inflammatory, insecticidal and antispasmodic. With its cooling and calming benefits, peppermint can be used for a variety of health conditions. It soothes nausea, stomach issues and cools overworked muscles. Because it is such a powerful oil, it should only be used when mixed with a carrier oil. PRO TIP TO HELP ALLEVIATE SUGAR CRAVINGS : Put about 1/2 tsp of carrier oil and 1 drop of peppermint essential oil in the palm of your hand. Rub hands together then cup hands over mouth and nose. Slowly inhale. Lemon Essential Oil is especially popular and rightfully so. Best known for its ability to cleanse toxins, lemon essential oil with its pleasing citrus aroma has a variety of uses. 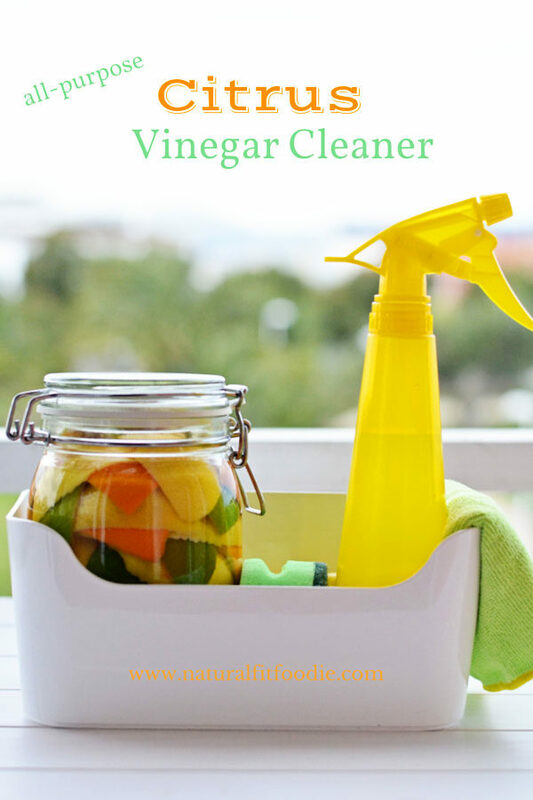 For DIY home cleaning products, lemon essential oil is a must. It contains strong disinfecting and cleansing agents that make it perfect for washing counters, sinks, floors, etc. When added to olive oil, it will give wood furniture a rich shine. Lemon essential oil is also good for treating acne, yeast infections and as a mood elevator. It also makes a great astringent. Due to its potency, never apply directly to the skin. It should always be combined with a carrier oil or another appropriate agent. PRO TIP TO REMOVE STAINS FROM CLOTHING : Apply Lemon Essential Oil all over the stain. Immediately throw the clothing item in the washing machine and wash. This removes both old and new stains. 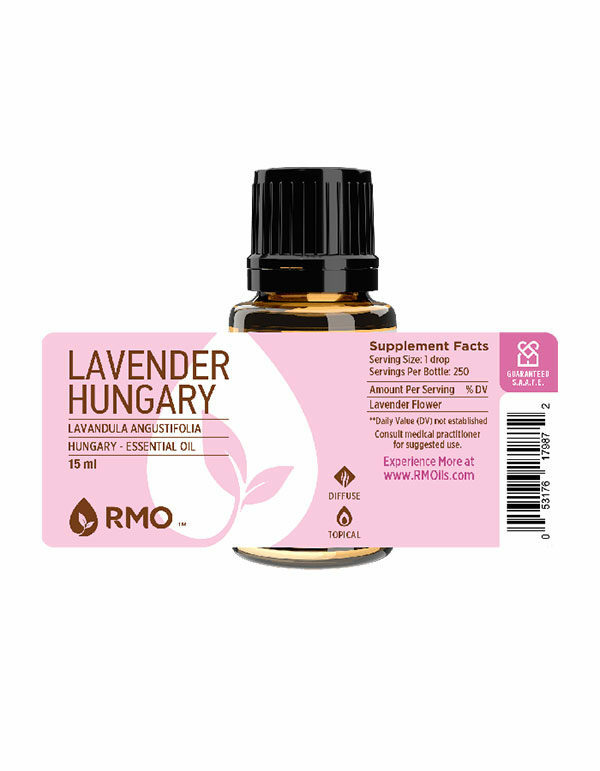 Lavender Essential Oil is extracted mostly from the flowers of the lavender plant, primarily through steam distillation. It takes approximately 3 pounds of lavender flowers to produce just 15mL of Lavender Essential Oil. Lavender is commonly known for its relaxing benefits but it is also widely used to cleanse cuts, bruises, skin irritations and more. PRO TIP TO HELP ALLEVIATE MIGRAINE HEADACHES : Massage lavender essential oil into the temples and the back of your neck. Breathe deeply. Rosemary Essential Oil has become increasingly important over several years. It helps to stimulate hair growth, boost mental clarity, and relieve respiratory problems. Herbalists often recommend rosemary essential oil for relief of muscle and nerve pain. When combined with a carrier oil to use in massage applications, rosemary oil delivers mental clarity, relieves fatigue and act as a mood enhancer. PRO TIP FOR A NATURAL PESTICIDE :Pour water into a 16 ounce spray bottle. Add 5 to 10 drops of rosemary oil. Seal the bottle and shake to combine. Spray on patios and other areas where ants and other pests are an issue. Besides these 5 essential oils to start with you will probably want to get your hands on a diffuser. Inhalation is one of the easiest and safest ways to experience the benefits of essential oils. Applying oils topically is quite effective. To do this you will need to dilute your essential oil in a carrier oil such as sweet almond or fractionated coconut oil. To learn how to safely dilute your oils see this handy chart. Through study and experimentation, you will find the essential oils that you like the most, how you prefer to use them, what other oils you like to combine, etc. The most important thing is that they will help to improve your quality of life and health, especially when combined with other health care treatments. 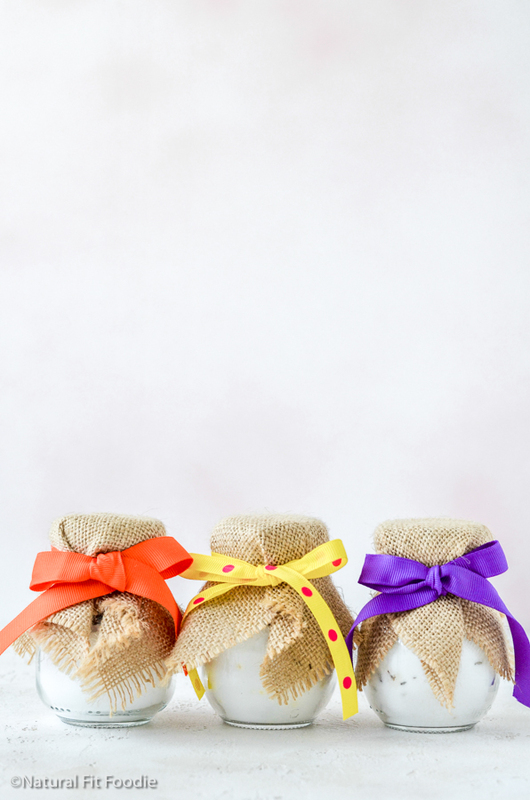 DIY Baking Soda Air Freshener : plus 3 simple recipes for every room of the house!